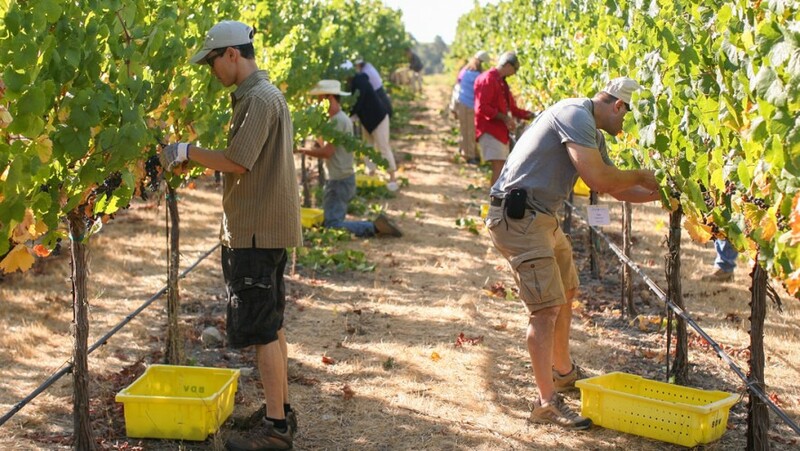 Sonoma County Grape Camp will not be held during Harvest, 2018. 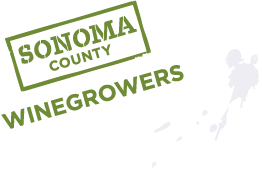 Please check back for information about Sonoma County Sustainable Winegrowing Camp in Spring 2019. Imagine yourself in the midst of a vineyard during harvest, sheers in hand, picking grapes on an autumn morning, the sun overhead, amber and purple hues as far as you can see. And the sweet fragrance of ripening grapes fills the air. Welcome to your Sonoma County Grape Camp. 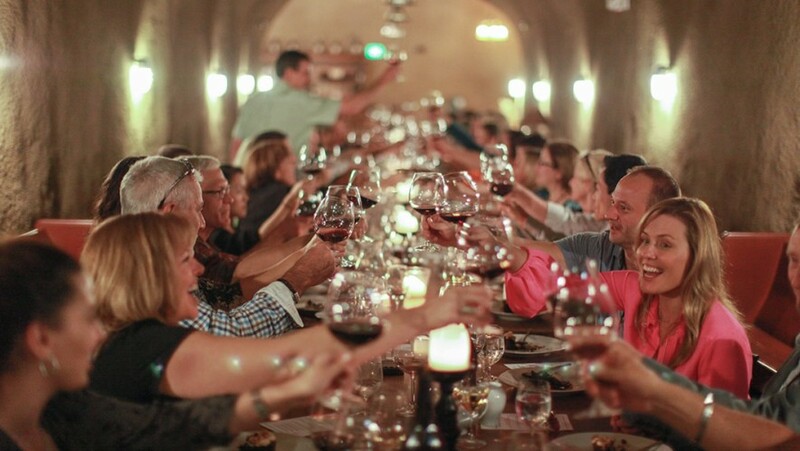 Sonoma County Grape Camp is the ultimate experience for wine lovers and foods lovers alike. 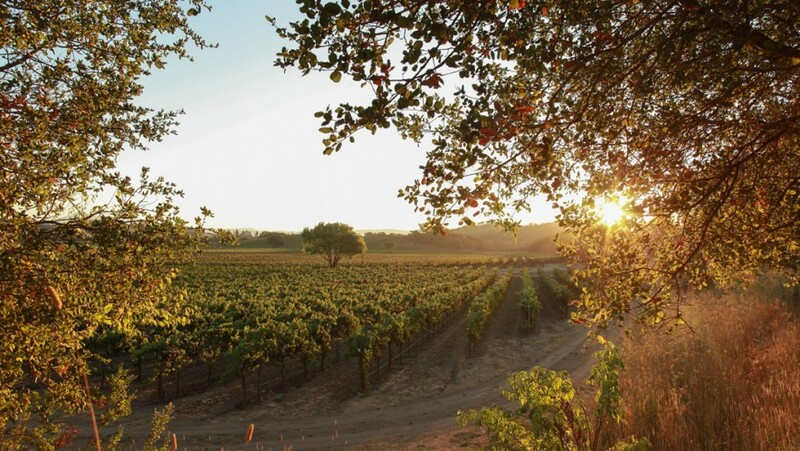 We invite you to join the Sonoma County Winegrowers each harvest season to embark on a three day immersion throughout beautiful Sonoma County. 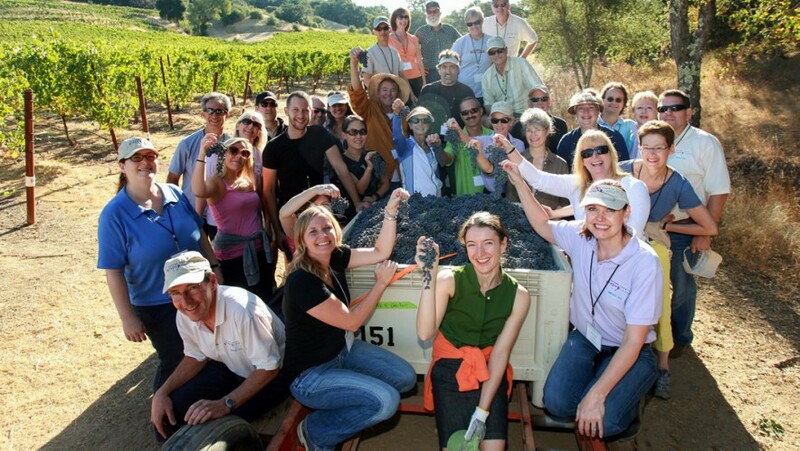 Campers have the opportunity to harvest grapes in some of the region’s most spectacular vineyards, taste and tour through a variety of our wineries, blend world-class wines, savor farm-fresh, gourmet meals from renowned chefs, and relish in the stories of our winegrape growers and winemakers. 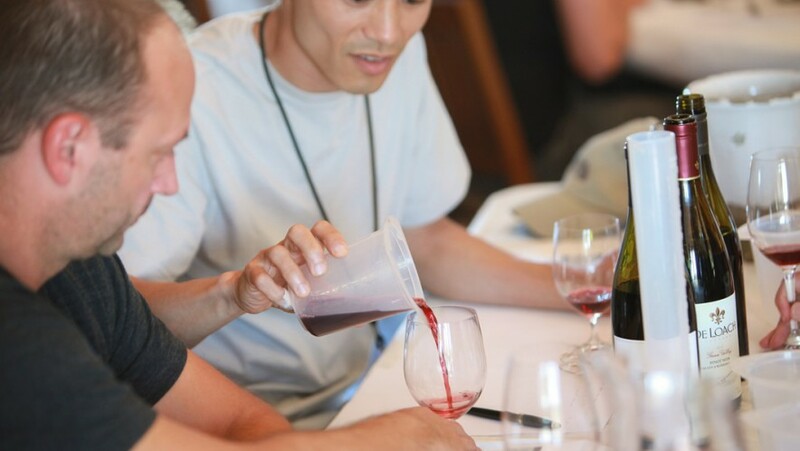 Grape Camp is your chance to connect with the beauty and history of wine country, and revel in Sonoma County from grapes to glass. This was one of our most favorite vacations ever and even though we were able to see other places besides Sonoma Wine Country, it was Grape Camp that was the best part of the trip and something that we will never forget. We are talking about coming again! Grape Camp is truly a one-of-a-kind experience. The trip far exceeded my expectations. We learned a lot, had a lot of fun, and met some great people. We’d heartily recommend the camp to anyone interested in wine, food or fun. 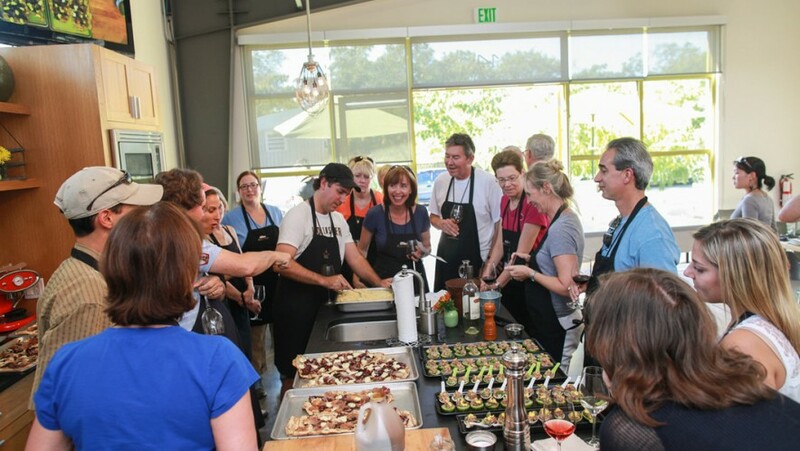 A two-and-a-half day “immersion” into wine country, this is boot camp for food and wine lovers. From picking a cluster of grapes off the vine at sunrise to whipping up a soufflé in a cooking class at lunch, this is the ultimate food and wine experience. Visiting Sonoma County during grape harvest in late summer and early fall is a prime time to connect with the beauty of this sprawling California Wine Country area (bigger than Rhode Island), the rhythms of agricultural life, the fabulous food, and the passionate professionalism of its grape farmers and winemakers.